SAULT STE MARIE, Ont. — A manufacturing company is laying off workers in Ontario in response to American tariffs on Canadian steel and aluminum. A spokesman for Tenaris, which manufactures steel pipes, says 40 workers at the company’s mill in Sault Ste. Marie, Ont., will be laid off on Sunday due to changes in the export market. David McHattie says the employees were hired at the northern Ontario mill to help with increased demand for the company’s products, including steel pipes. 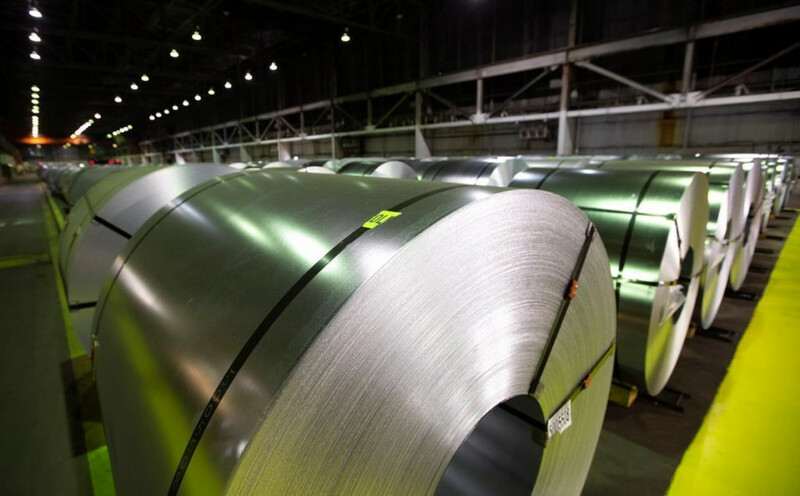 But months later, the Trump administration imposed a 25 per cent tariff on steel and a 10 per cent tariff on aluminum, which Tenaris says has created an "unsustainable" market to serve its U.S. customers. McHattie says the company is also adjusting its production levels as a result of the tariffs and what he calls the "effect of increased import competition in Canada from countries no longer able to sell in the U.S."
Tenaris is based in Luxembourg and has operations around the world. The company says the market remains uncertain as the trade dispute between the United States and Canada continues. "The environment is very uncertain and as such we do not have other plans," said McHattie. Luca Zanotti, president of Tenaris’s U.S. operations, told The Associated Press on June 25 that the company’s operations in Texas were trying to be excluded from the tariffs. The company churns out steel pipe in a state−of−the−art facility that began operating late last year, using solid rods of steel called billets that are made in its mills in Mexico, Romania, Italy and Argentina. Zanotti declined to say how much the company would have to pay because of the tariff. On Friday, the Canadian government released an extensive final list of $16.6 billion worth of American imports that would be subject to retaliatory tariffs that come into effect on July 1. There will be a 10 per cent tariff on everyday items such as ketchup and playing cards along with aluminum products, while tariffs on steel will be 25 per cent. Prime Minister Justin Trudeau will visit a manufacturing facility in Leamington, Ont. as the tariffs take effect on Canada Day. Also announced on Friday was $2 billion in aid for the Canadian steel, aluminum and manufacturing sectors to help businesses retain skilled workers and avoid layoffs by extending the work−sharing agreements under the employment insurance program by 38 weeks. Some domestic businesses have expressed concern about the trade war, predicting that it could raise consumer prices in both Canada and the U.S. and could put jobs at risk.